A cloudy mirror pretty much defeats its purpose, doesn’t it? It can also give your home decor a dingy look. If the mirrors in your house look ready to tell the tales of neglect and disregard, it’s time to get acquainted with some easy hacks to bring the shine and clarity back to your mirrors. The concept of mirrors dates back to the oldest of civilizations, but the modern glass mirror was developed in the Renaissance era. In recent times, mirrors are not just used for admiring one’s reflection, but have become an important element of interior decor. Mirrors can add depth to any small room. Large, ornate mirrors are often used to lighten a room and add a sophisticated touch to hallways, foyers and living rooms. Like most household items, mirrors collect dust and grime over time. While ordinary dust can be easily taken care of, cleaning a cloudy glass or mirror sometimes becomes a hard task. If you’ve recently purchased or inherited an antique mirror, chances are that you have to deal with a milky or waxy film on the mirror. Ordinary glass cleaners have only a small amount of vinegar in them. This makes them okay for everyday cleaning but not so effective in cleaning cloudy mirrors. Plus, as with most cleaners, you may not wish to expose the elderly, children or pets in your home to harmful chemicals present in such cleaners. 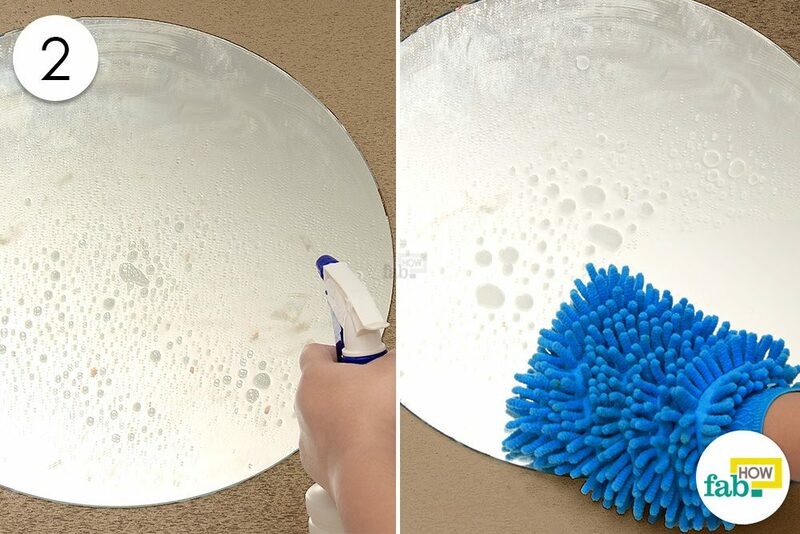 We tested four popular methods for cleaning mirrors. While simple water is used for basic cleaning, white vinegar, rubbing alcohol and a popular DIY spray were tested against cloudy mirrors. All three cleaners for stain removal produced really good results, but we’ll go with white vinegar or rubbing alcohol as these two are single-ingredient cleaners. 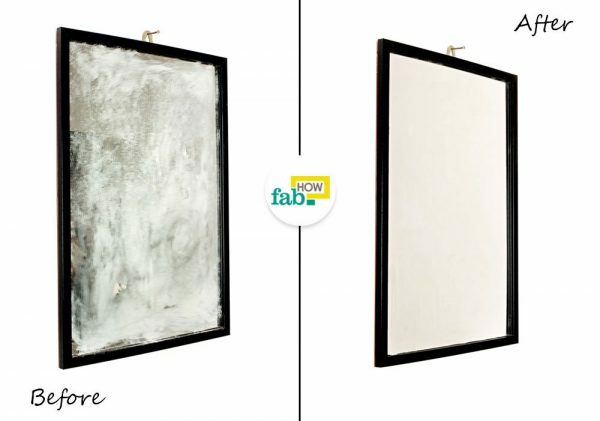 Being readily available in most households, they’ll be an ideal and obvious choice for restoring cloudy mirrors. Even though the DIY mirror cleaner is the most effective of the three, you may not want to go to the trouble of mixing multiple ingredients unless the stains on your mirror are particularly stubborn. This basic cleaning method can be used for everyday cleaning of the mirrors. It will clean off dirt, fresh grime and smudge marks. 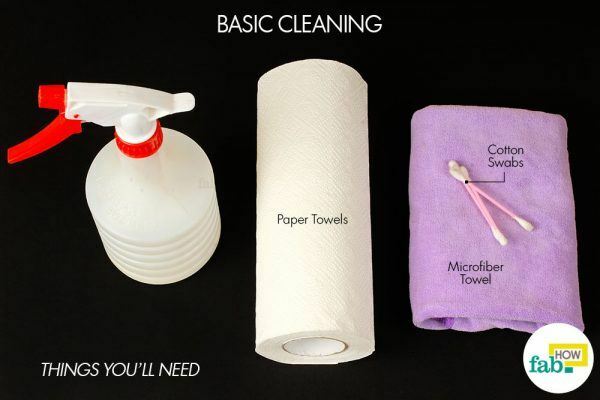 You only need water for basic cleaning. While you can use a damp towel, a spray bottle makes the work comparatively easier. Spray a little water on the mirror to loosen the dirt and grime. Wipe the mirror with a pad of folded paper towel in circular motions until it’s clean. Replace soiled paper towels with fresh ones and spray more water as needed until the entire mirror is free of dirt and smudges. When the visible dirt is gone, wipe the mirror in even, vertical strokes followed by horizontal strokes for a streak-free finish. 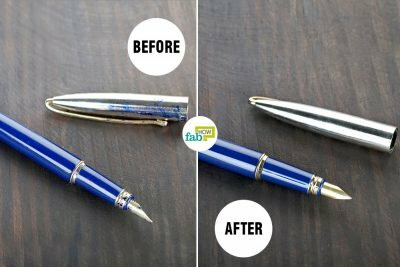 Use a cotton swab to remove the dirt collected on the narrow edges of the frame. While regular dusting only cleans the broader surface of the mirror frame, a cotton swab will give you an impeccably clean finish that can make your mirror look more pristine than ever. For a final touch, give your cleaned mirror a quick wipe-down with a microfiber towel to remove any residual streak marks. This will also remove the lint from the paper towels and give your mirror a shiny and streak-free look. If the condition of your mirror is absolutely deplorable with cloudiness that doesn’t seem to go away, you can remedy the problem with some common household cleaning agents. The given methods are effective on most types of stains that may mar the look of your mirrors. 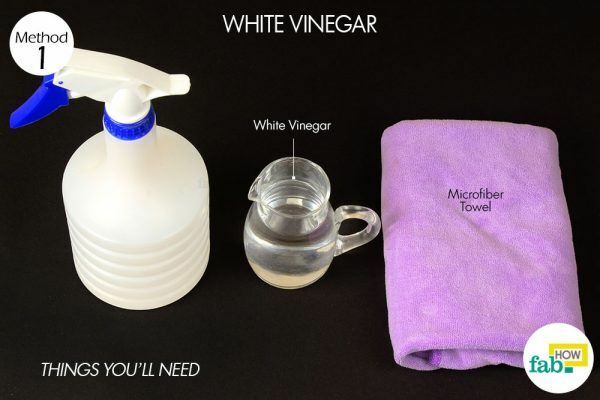 For most households, white vinegar is one of the most readily available cleaning agents. 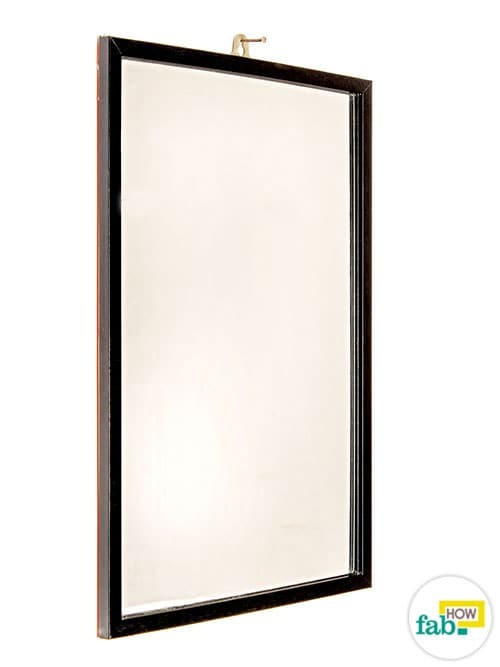 It is well suited to most surfaces, including mirrors and window glass, and gets the job done well. If you’re worried about the lingering vinegary smell, rest assured that it fades away. 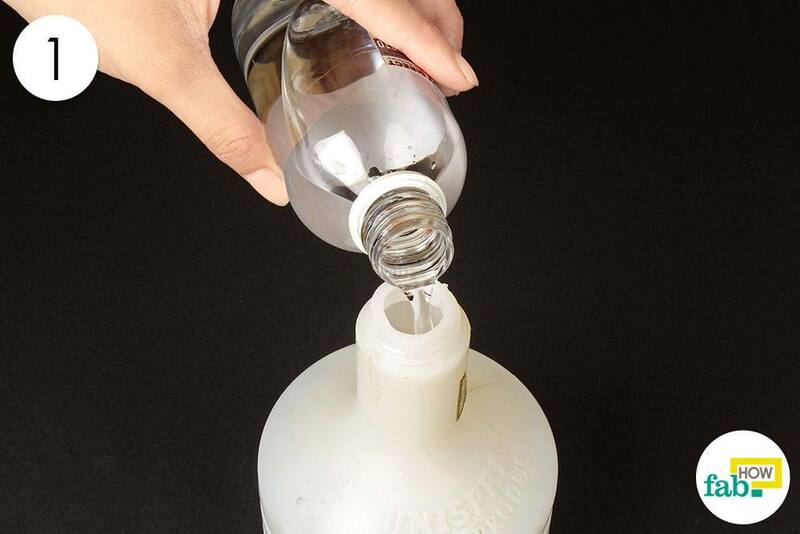 Pour some water into a spray bottle and add an equal amount of white vinegar to it. Put the spray nozzle back on and give it a shake to dilute the vinegar. Mist some diluted white vinegar on the cloudy mirror. Buff the misted area in circular motions with a microfiber towel. The clear glass will gradually reveal itself. Continue spraying and buffing until the entire mirror sparkles. 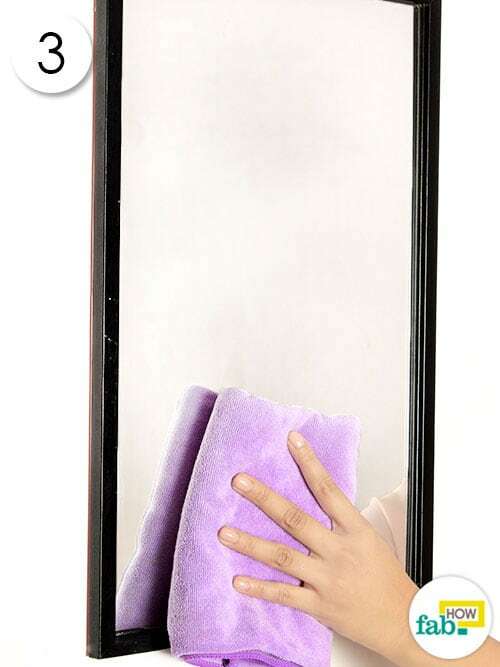 A microfiber towel is best for cleaning mirrors, as it doesn’t leave lint behind and gives a pristine look to your mirror. Once you’ve taken care of the cloudiness on the mirror, use a clean side of the microfiber towel to finish the job. Wipe in vertical strokes followed by horizontal strokes for a streak-free finish. 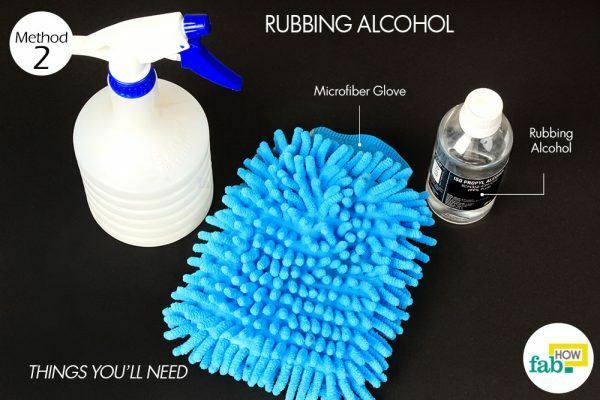 Of all the single-ingredient cleaning agents, rubbing alcohol is one of the most effective, if not versatile. 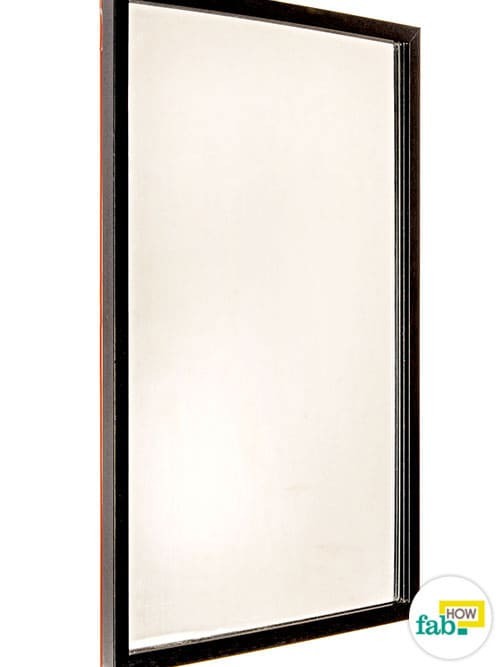 While it is not recommended for certain surfaces as it can be harsh, it’s perfect for cleaning mirrors. 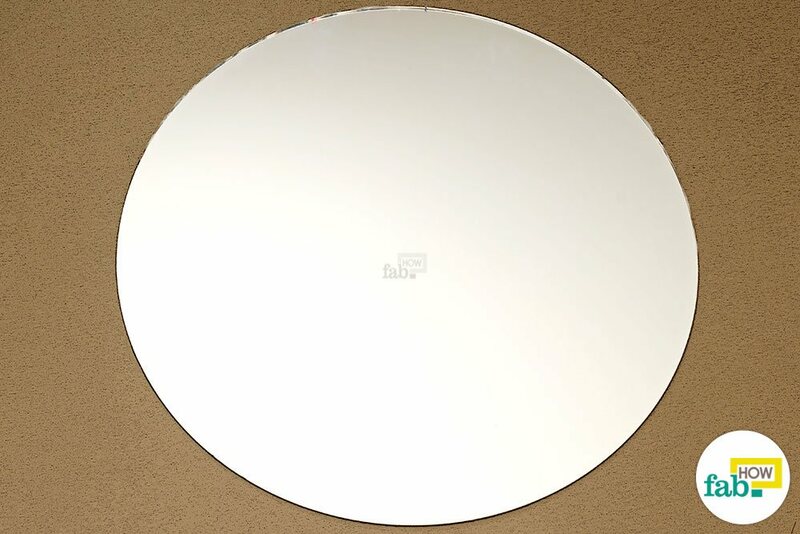 It will cut through the cloudy film on your murky mirrors and reveal a clear reflection. Rubbing alcohol is also a powerful sanitizer, so you can also use it to disinfect your bathroom mirrors at regular intervals. Pour some water into a spray bottle and add an equal amount of 70% rubbing alcohol to it. Put the spray nozzle back on and give it a shake to dilute the rubbing alcohol. Mist the cloudy mirror with diluted rubbing alcohol. Spraying the solution directly on the mirror makes for efficient cleaning. Buff the area with rubbing alcohol with a microfiber glove. The cloudiness disappears, revealing a clear and shiny mirror. 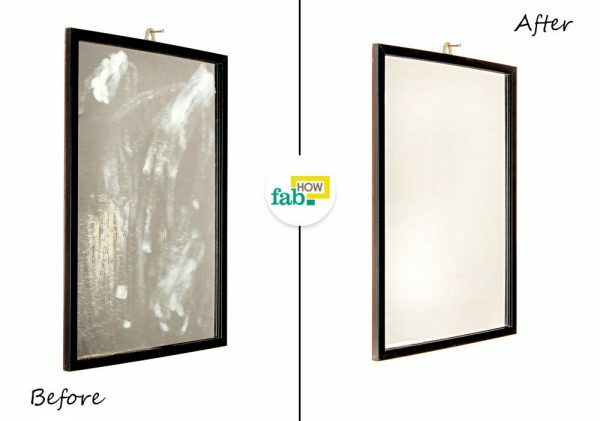 Repeat the spray-and-buff process over the entire mirror to erase the cloudiness completely. 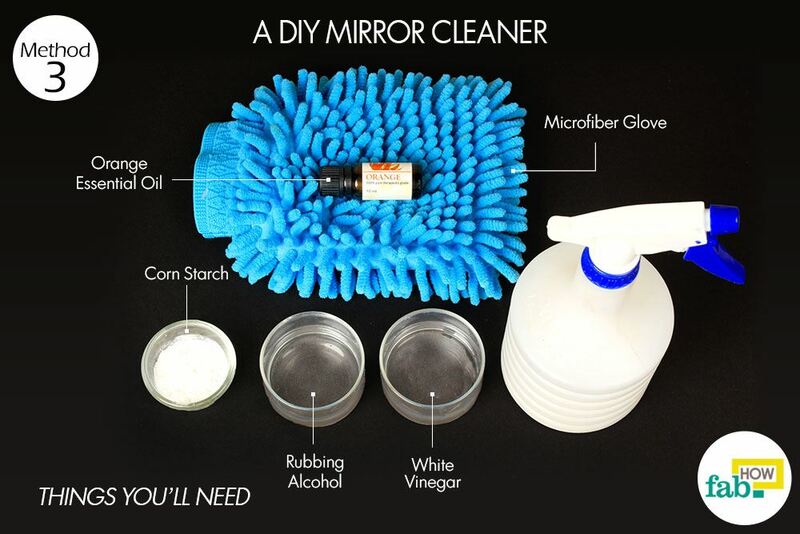 If you’re dealing with a particularly stubborn milky film on your mirror that won’t go away with diluted vinegar or alcohol or smudges that just shift from spot to spot without leaving the surface of the mirror, this DIY mirror cleaner should do the trick. The combined kick of the vinegar and rubbing alcohol in this cleaner will help dissolve the residue adhered to your mirror. Corn starch, known for its properties that absorb oil and grease, is the additional ingredient here that helps remove the milky film. Putting essential oil into the mix is entirely optional, and you can use any essential oil of your choice. It can help banish bad odors from your mirror and leave it smelling fresh. 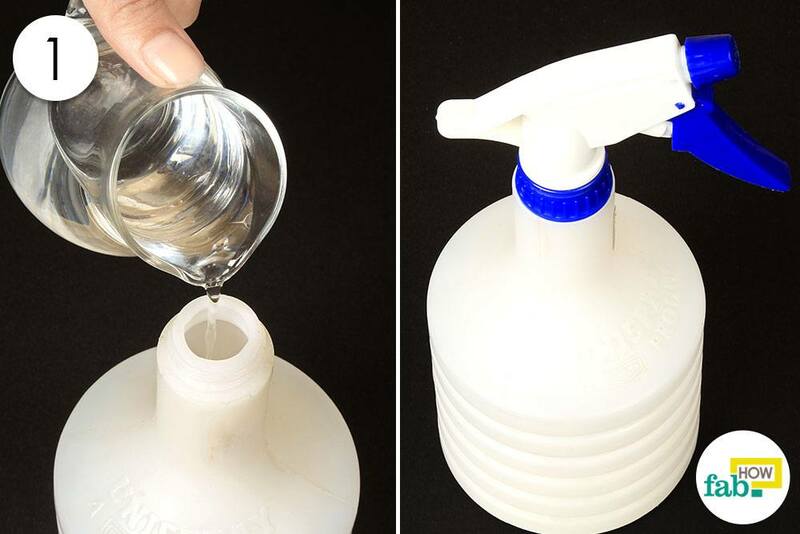 Pour 2 cups of water into a spray bottle and add ¼ cup of rubbing alcohol to it. 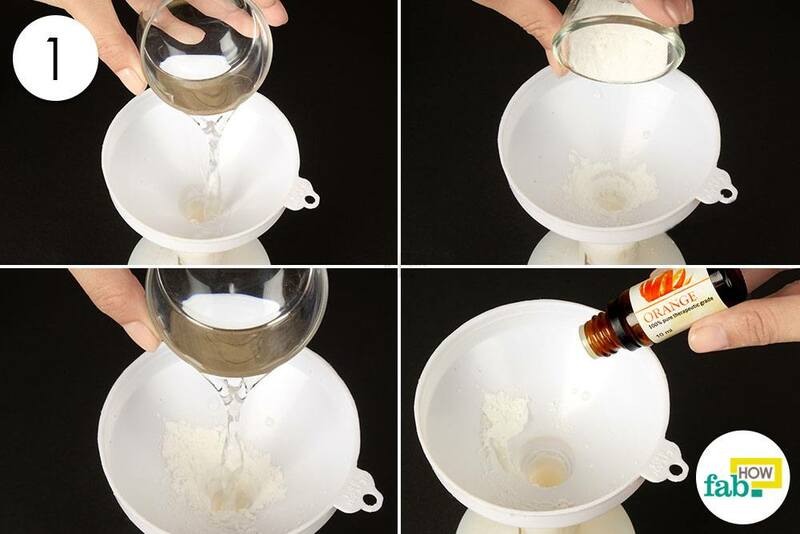 Use a funnel while pouring to prevent any spills. Add 1 tablespoon of corn starch to it. Pour in ¼ cup of white vinegar as well. Optionally, you may also add 8 to 10 drops of essential oil. Screw the spray nozzle back on and give the bottle a vigorous shake to mix the ingredients completely. Spray your homemade cleaner on the mirror with stubborn cloudiness or a milky film. 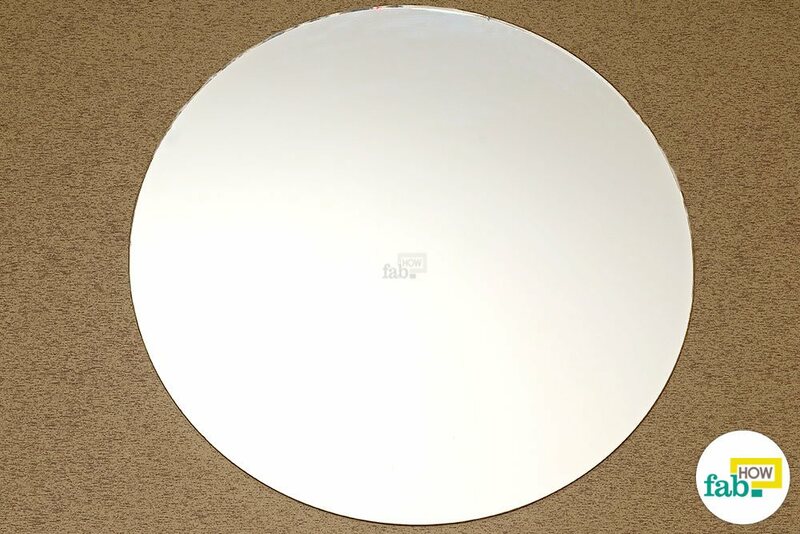 Buff the area with a microfiber glove or cloth to bring the shine back to your mirror. Continue the process until the entire mirror looks crystal clear. Finish by wiping with a clean side of the microfiber glove, first in straight vertical strokes followed by horizontal strokes for a streak-free finish. Dusting the mirrors before beginning the wet cleaning can make the job a lot easier. If you have a hard water supply in your area, consider cleaning your mirrors and making cleaning solutions with distilled water. The minerals in hard water can leave streak marks and splotches behind. 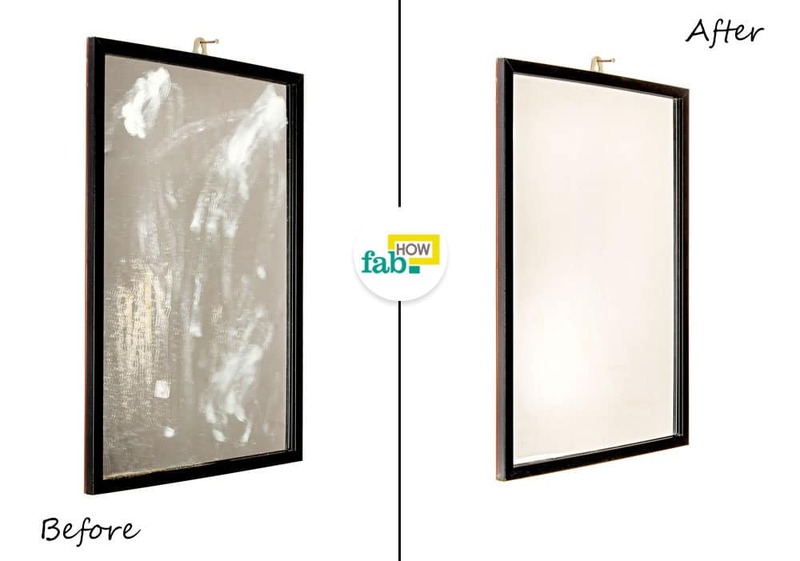 Cover the frame of the mirror, especially wooden frames, with old towels to protect them while wet cleaning. Use an even-footed stool to reach the top of large mirrors. Straining high on the tip of your toes is not likely to leave a streak-free finish. Shaving cream (not gel) can also be used to clean the cloudiness from a mirror and prevent it from returning for a considerable period of time. Use any ordinary shaving cream to buff the mirror in your bathroom to keep it from becoming foggy. this is really use full imma take a bath with my dog bye guys tanks again,imma tell my mom to use this cause my car is dirty so i can clean my car that new fo me yo. Has anyone actually used these methods, as in tested them? I doubt it. Because if you use ORANGE OIL on a mirror it will gum up, because you just put oil on the glass. Save it for the wooden frame perhaps, but oil + glass = mess, 100% of the time. I’m been cleaning for 50 years, 2 years of professional housecleaning. Plus, people with breathing problems often don’t like any sort of perfume or scent. Our team tests every method and remedy before presenting it before the users, so yes we have tried this method with success. As the orange oil is an optional ingredient used for fragrance only, you can skip it if you wish to. The above method however dilutes the oil in water, vinegar and rubbing alcohol, so it should not be a problem either ways. Do try this and let us know about your experience. Thank you for this. I am a janitor in a school cafeteria, and the mirror in the boys restroom is absolutely terrible, seemingly beyond hope. I will be trying this because it would be really nice to have a good mirror again ? Thank you Heather for your comment. Hope this helps you.